Craving for Filipino food? I do sometimes. I recently discovered Bench Cafe in Greenbelt 3 yesterday when it was formally launched to the public. 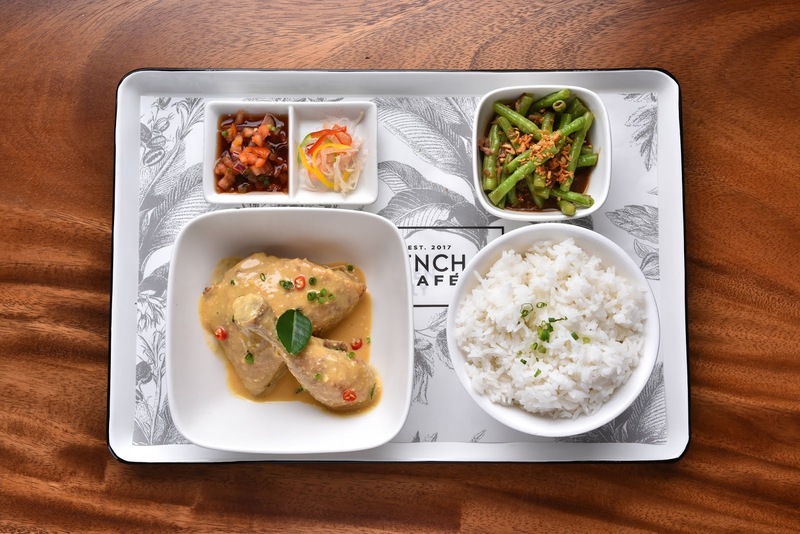 Bench Cafe offers Filipino dishes with a twist. I love their take on Bagnet Kare Kare and Bagoong rice yum! , Pansit sisig and Halo Halo! Bench Cafe was officially launched on January 29 at Greenbelt 3. Bench Cafe headed by Chairman Ben Chan and COO father and son tandem Rikki and Eric Dee graced the event. A partnership between FOODEE Global Concepts, one of Manila’s largest multi-brand food groups run by father and son tandem Rikki and Eric Dee, and Suyen Corporation, headed by Chairman Ben Chan, President Virgilio Lim and Vice-President for business development Bryan Lim, Bench Café is now turning into a full-fledged restaurant with the opening of its second branch. With over three decades of experience under its belt, the FOODEE group created a restaurant concept that was uniquely Bench, applying Suyen’s retail philosophies to what — in just a year — became a successful culinary venture. 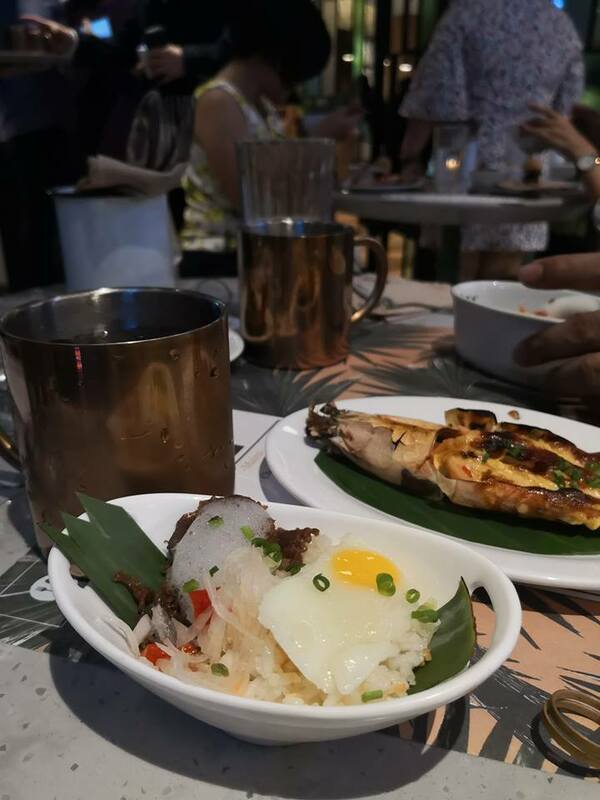 fit the Filipino tradition of family dining. 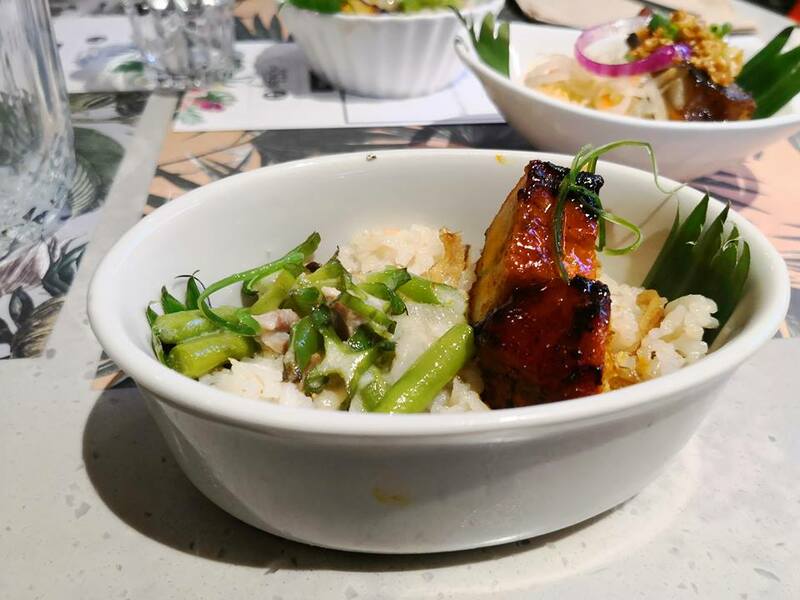 Combos include the B6 (Dancing Fish, Kaldereta, Crispy Dilis, Bench Salsa, plain rice), the B8 (Lechon Kawali, Laing, Atsara, Bench Salsa, plain rice), and the B12 (Pork BBQ, Gising-Gising, Green Mango Salad, Bench Salsa, plain rice). 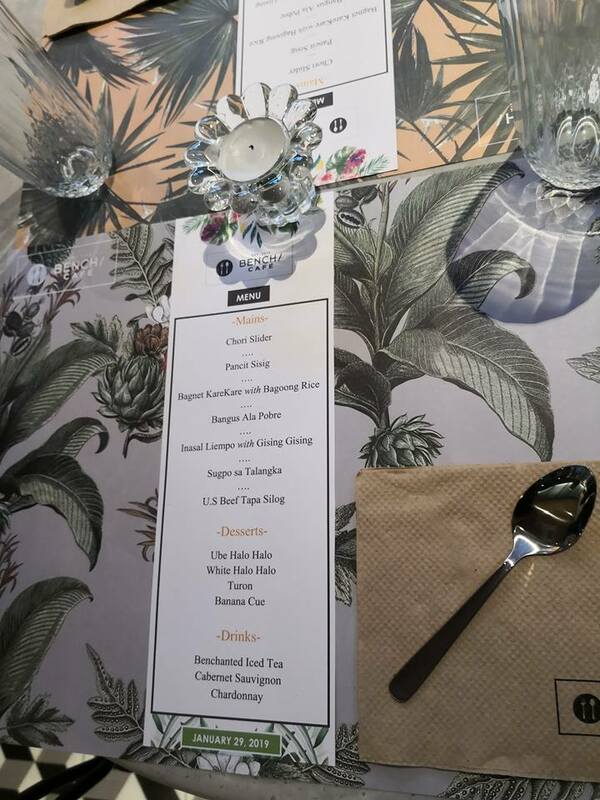 The café also features other Pinoy dining table staples such as street food, rice, silog, merienda, halo-halo, and kapeng barako. 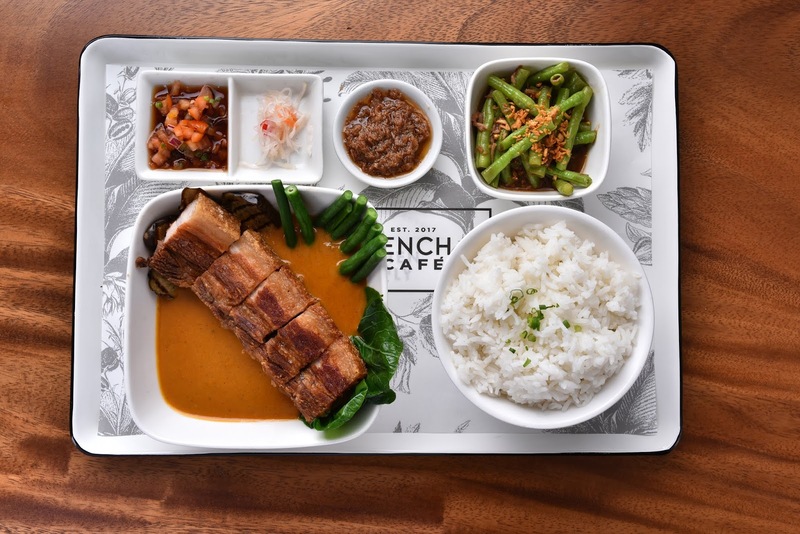 Bench Café is located at the second floor of the newly opened Bench flagship store at 9th Ave. cor. Lane O, Bonifacio High Street, BGC, and at 2/F of Greenbelt 3, Ayala Center Makati. For more updates, follow Bench Café on Facebook and @benchcafeph on Instagram.